One Drop | Does Having Diabetes Mean My Baby Will Be Fat at Birth? “At birth, the average baby weighs about 7.5 pounds, and 95 percent of newborns will be between 5.5 and 9.5 pounds,” says What to Expect. 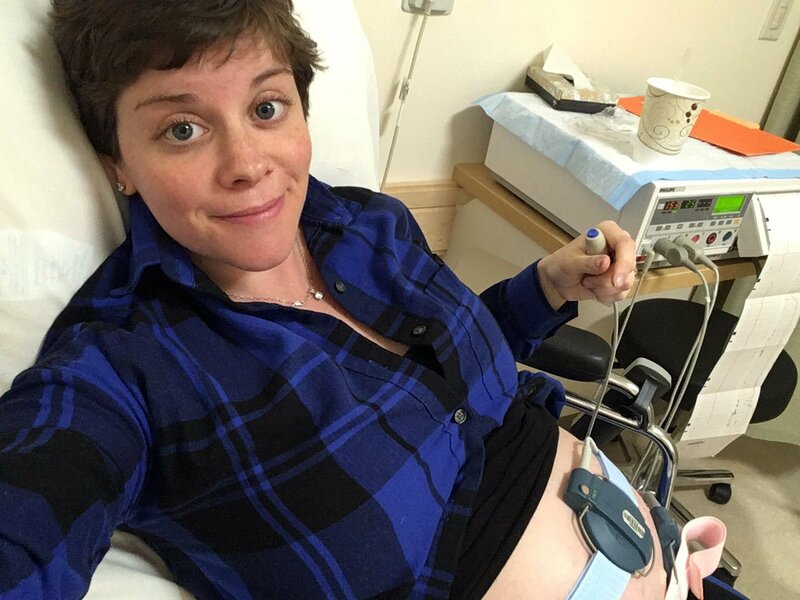 Despite this wide range of “normal” birth-weights, women with diabetes (type 1, type 2, and gestational) are routinely shamed and guilt-tripped for having a baby over 8 pounds. In fact, throughout the 9 months prior to the baby’s birth, pregnant women with diabetes are lectured over and over and over at just how fat their baby might be if they don’t achieve "normal" (read: non-person-with-diabetes [PWD] blood sugars). This constant barrage of lecturing and shaming isn’t necessary, logical, or fair for three reasons. 1. Why should a woman who has been diagnosed with diabetes of any type be expected to achieve non-PWD blood sugars? If that was easily possible, they wouldn’t have been diagnosed in the first place. One might argue that doctors aren’t expecting non-PWD blood sugars but simply the “best possible blood sugars” during pregnancy. But if pregnant women are still scolded for imperfect blood sugars, then their healthcare team is contradicting what they know to be logical: the best possible blood sugars for a pregnant woman with diabetes are never going to look perfect on paper. It’s only logical that a woman with diabetes is going to have higher than “normal” blood sugar levels because her body is struggling to produce adequate amounts of insulin, amylin, and glucagon. That’s three malfunctions in her body that are going to inevitably affect the size of her baby. My A1C was between 5.1% and 6.4% for the entirety of both of my pregnancies. Yet, I was still scolded for any imperfect blood sugars that appeared on the downloads from my meter! What this really revealed was how little my healthcare team really understood that something as wholesome as an oversized apple can cause a blood sugar of 200 mg/dL (11.1 mmol/L), because I can’t perfectly estimate the exact carbohydrate quantity in that apple. I expect mainstream media to think that only things that raise blood sugar in people with diabetes are doughnuts and cupcakes, but I expect my healthcare team to know better; to know that a great deal of my overall blood sugar levels can’t be perfectly controlled. 2. Even when our babies are born within the range of 5.5 to 9.5 pounds, we are still told our babies are “big” because of our diabetes. 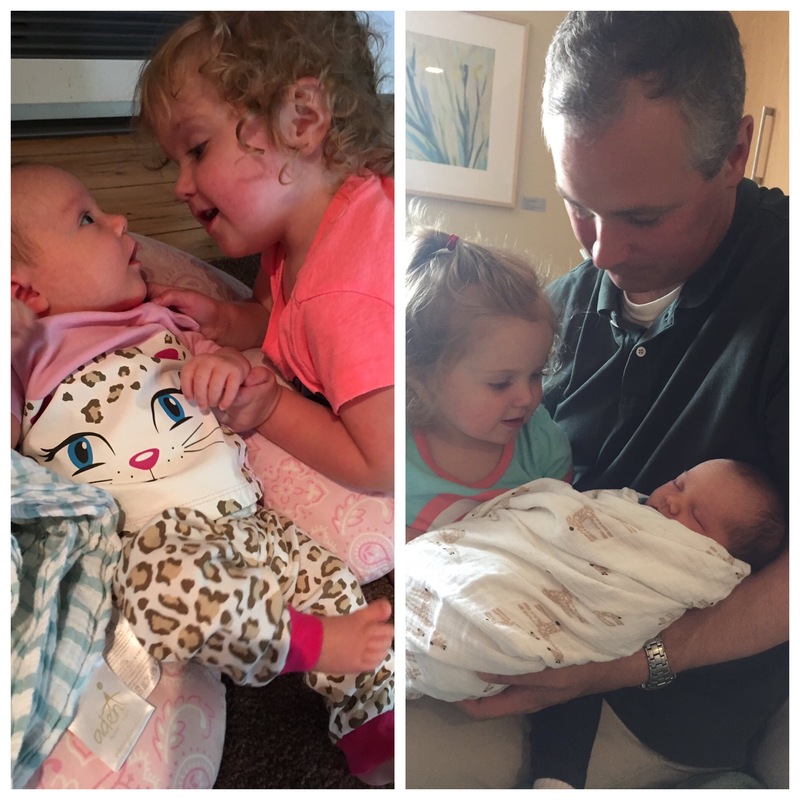 My daughters were born weighing 8 lbs., 11 oz., and 7 lbs., 11 oz. Both were well within the range of “normal.” Oddly enough, I was routinely told both before and after they were born that they were “big babies” because of my diabetes. 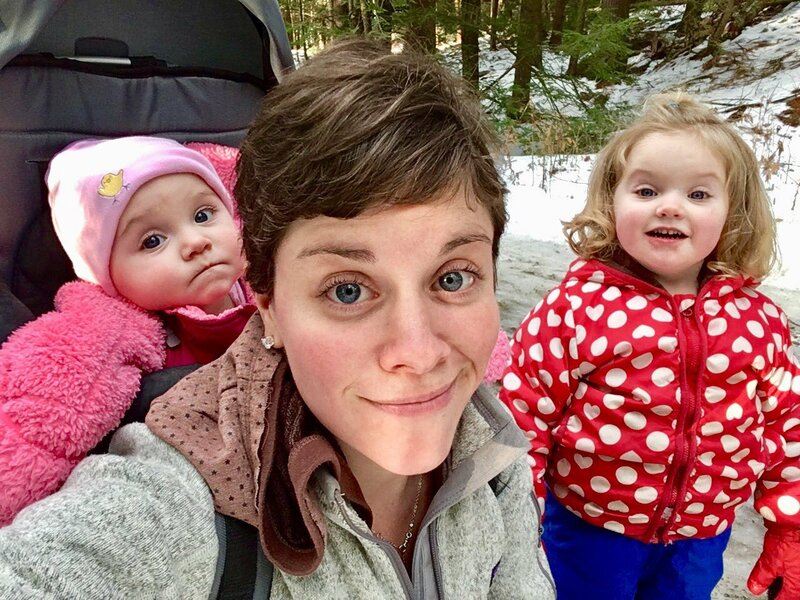 The genetics of the babies in my family (and my husband’s family) didn’t stop doctors and nurses and ultrasound technicians from lecturing me. My twin brother and I were born a month early to a non-PWD mother and we were still both 6 ½ pounds! My other brother weighed 11 pounds when he was born, and my husband weighed 10 pounds when he was born! Even though family birth-weight trends are a known contributing factor to the size of your own baby’s birth-weight, women with diabetes are told their babies are big, likely due to their imperfect blood sugars. Three of my best friends gave birth to their own children within the same 3-year window when I gave birth to my own children. My children’s birth-weights were less than 2 out of 3 of my friends’ children’s birth-weights. Yet, they were told their baby’s weight was normal, while I was told my children’s weights were the result of my diabetes. 3. Pregnant women with diabetes are told by dietitians to eat a diet that isn’t actually going to help reduce their blood sugars. And they are rarely given glucometers to actually observe their own levels! This is particularly true for women with type 2 and gestational diabetes. Instead of being advised to reduce the carbs in their diet and focus on an overall lower carb diet, they are told to eat as many as 40 to 60 grams of carbohydrates per meal and 15 to 30 grams of carbohydrate per snack. If you’ve lived with diabetes long enough, you know that that amount of carbohydrates is going to spike your blood sugar tremendously. It doesn’t matter if those carbs are coming from whole grain oats or a bowl of ice cream -- both sources of carb are going to rapidly raise your blood sugar. In fact, a bowl of wholesome brown rice can be more damaging to your blood sugar than a bowl of Ben & Jerry’s ice cream because the fat in the ice cream slows down the digestion far more than the few grams of fiber in the rice does. This means that not only are pregnant women being scolded, shamed, and blamed for their baby’s large birth-weight, but their healthcare team is giving them nutritional advice that is most likely going to raise their blood sugars and lead to a larger baby. This poor advice is largely the result of traditional healthcare methods and an overall resistance to accepting the fact that carbohydrates of all kinds do raise blood sugar levels. Provide healthcare professionals with a better education on the fact that just because a woman with diabetes is pregnant does not mean she can achieve non-PWD, perfect blood sugar levels with more “effort” or “self-discipline.” We will always be lacking the sufficient number of hormonal “tools” we need in order to replicate a system within our bodies that were designed to manage itself on a 24/7 basis. Encourage healthcare professionals to use more supportive language when discussing the risks and consequences of high blood sugars during pregnancy. Instead of lecturing or scolding when a pregnant woman is struggling to reduce her A1c, ask her where she feels like she’s struggling and what aspect of diabetes management is feeling the most challenging. Every patient with diabetes already knows their blood sugars aren’t perfect and they pose a threat to their child before they’re even born. Increasing that stress and pressure with fearful lectures isn’t going to help. Give credit when credit is due! If a woman with diabetes achieves an A1C under 7.0 percent during pregnancy, she deserves a pat on the back. There’s no way any healthcare professional can understand just how challenging that achievement is unless they actually have diabetes, too. Help us by focusing on the achievement so we feel even more supported and empowered to continuing giving our diabetes management that incredible amount of effort. After our child is born, let us love them -- and be honest about the reality that 95 percent of babies weigh up to 9.5 pounds! Why continue lecturing and scolding after the baby is born? Why immediately assume that our baby is big just because of diabetes even if they weigh well within the average range? Every time we’re told our baby is “big,” that translates in our head as: “You’ve done a bad job, mom.” Just let us love our babies! Respect your patient. We didn’t ask to have diabetes. 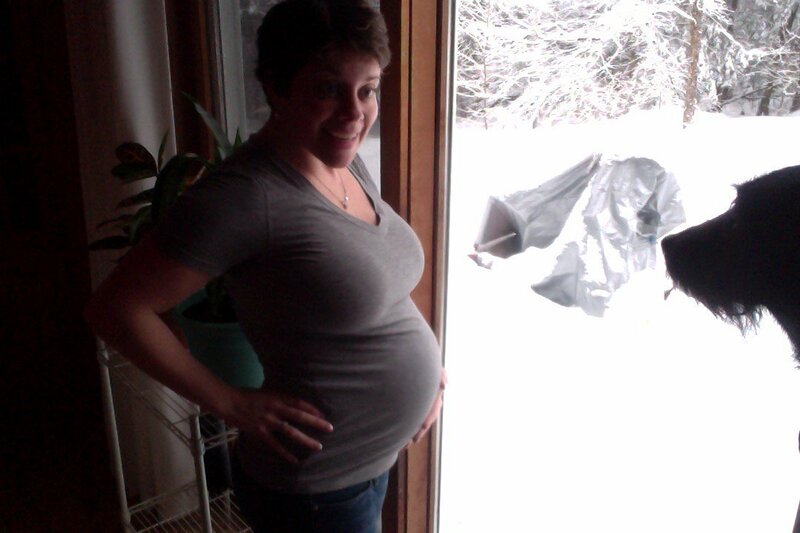 And we’re doing everything we can to ensure it poses the least risk possible to our growing baby in utero. We deserve to be treated with as much respect, kindness, and thoughtfulness as any other mother-to-be. Being pregnant with any type of diabetes is an incredibly challenging undertaking and requires a great deal of courage and daily persistence. The fact that women with all types of diabetes can and do pursue pregnancy today should be celebrated and supported.